First impressions count right? Yes they do and my first impression of the Hyatt Hotel was cheap and tacky. On arrival there was a loud cabaret singer preforming outside at the hotel bar which I did not expect. Reception told us the singer was there each weekend between 6pm and 11pm. We checked in then took the elevator to the top floor. The brown internal carpets were warn, tired and frayed in areas. 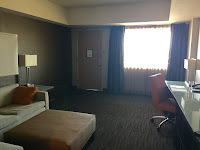 We were staying in one of the Haytt's King Rooms, which was very spacious with a lounge and separate bedroom. Our room was decorated in a fairly substandard modern way, and my first impression was a cheap refurbishment, but it looked clean. That was until I saw the lime scale on the bath tap. The TV's were analogue and displayed a bad quality image. However the bed was comfortable. We arrived late and so ordered room service. I had the salmon steak and flat bread and my husband had burger and fries. My salmon steak was dry and tasted odd, even my husband couldn't eat it, and he eats anything, but the rest was ok. The next day we spent our time in the pool. The bar staff were polite and efficient and the pool area was clean. We decided to go to the cabaret with a couple we had met who were also staying at the hotel. They two agreed that the cabaret singer was more like a good karaoke singer at best. However the singer entertained us, and the other guest seamed to really like him. He interacted every well with the guest and got people up dancing. The atmosphere was enjoyable and we had a nice night. The couple we met told us that they has experienced bad service when their room service order did not turn up, and once they had called reception the order turned up incorrect. 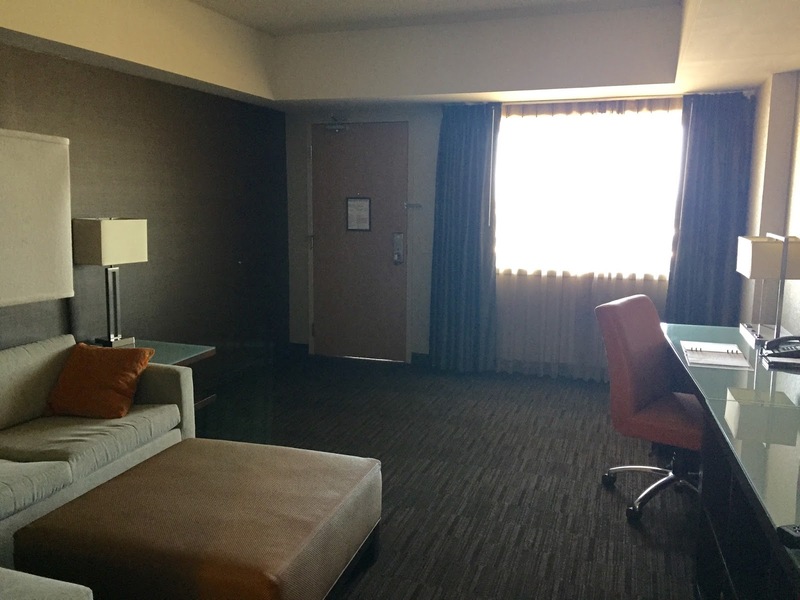 Complaints made – We made a complain about paying the daily report fee of aprox $25 because the cleaners did not clean our room, she only re made the bed. And was finished in under three minutes if I was to guess. She did not replace the water in the room or shower gels and shampoo's. The lack of cleaning explains the lime scale build up. Complaint Outcome – The hotel apologised that the water was not replaced and the room was not cleaned or restocked. The took $100 off the hotel bill.